For 34 years, LIIF has provided creative capital solutions to support housing and community facilities across America. Over the past year, we deployed $300 million to affordable housing, high quality schools, early care and education centers, health clinics, healthy food stores and more. 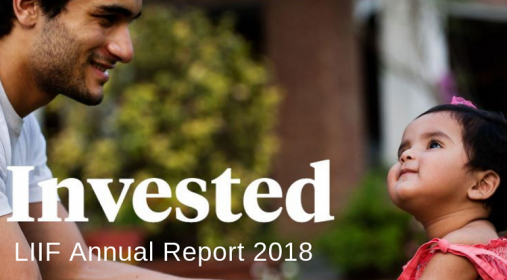 We invite you to explore our 2018 Annual Report and learn how LIIF is invested – in innovation, collaboration and inclusion. At LIIF, we invest in local communities, expand job opportunities, advocate for health equity and work to realize the vision that everyone has a safe, affordable place to call home. Learn how in our 2018 Annual Report.